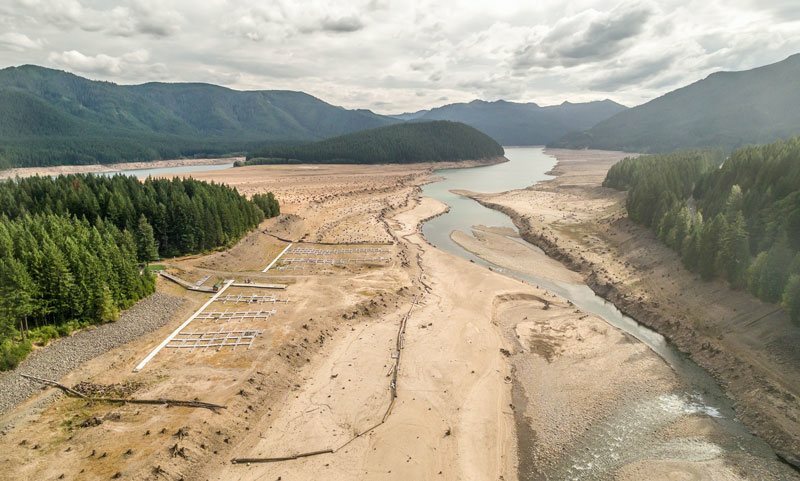 As Oregon and the Pacific Northwest come out of what has been one of their wettest winters on record, it’s easy enough to forget that last year at this time our water supplies were in terrible shape. 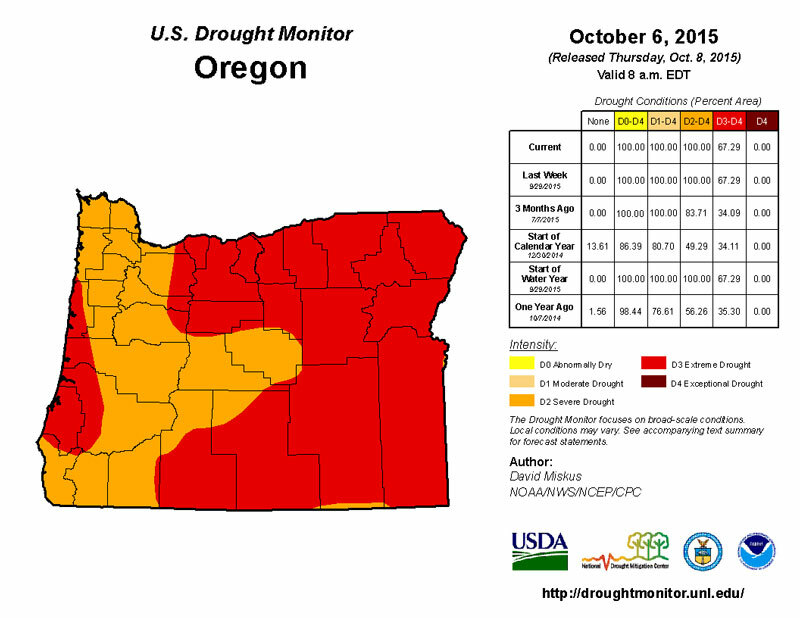 Starting in the fall of 2013 and lasting until the fall of 2015, much of the Northwest was mired in a severe drought. Detroit Lake, located near Salem, Ore., photographed in August 2015. Last year ended up being the worst of those years. 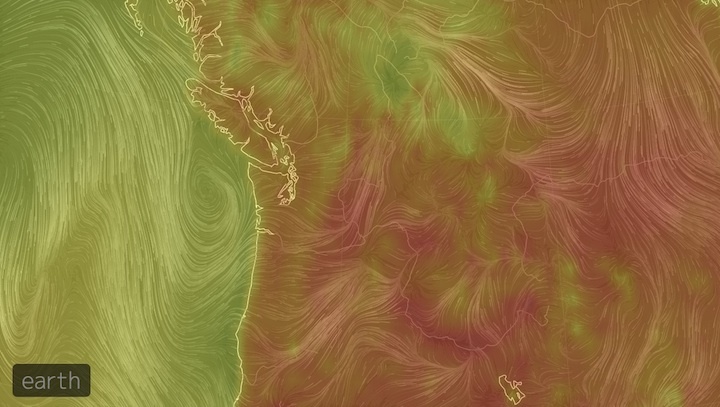 With temperatures during winter and spring about 5 to 6 degrees Fahrenheit above the 20th century average in the Northwest, 2015 also looked eerily similar to what climate models suggest could be the norm by the 2050s. Drought comes in a variety of magnitudes and types. Last year, Oregon and much of the rest of the Northwest was under what has been called a snow drought, a drought driven not by a lack of precipitation (last year’s precipitation levels were just below average) but by the fact that what precipitation fell did so chiefly as rain, not as snow, because temperatures were so high. “We got creative in how we used the snow that we got [and] moved it out to the hill from areas we could find it,” Towle told us in our video interview. He credits this technique, known as snow-harvesting, and other strategies — such as thinning vegetation on ski slopes — for helping the the Mt. Ashland Ski Area open in the winter of 2015 and stay open during the busy winter holidays, a make-or-break time for ski areas. Looking ahead, Towle says Mt. Ashland plans to diversify its business model to include more summer recreation, including zip lines and concerts. This diversification, says Towle, should help his organization be less dependent on snow for its revenue. Elsewhere in Oregon, we saw other signs of the snow drought. Snow in the mountains acts as a kind of water savings account — a natural reservoir. Melting as winter turns to spring and daily temperatures rise, the snow provides water into the warmer and drier summer months. But our warming climate is changing that. 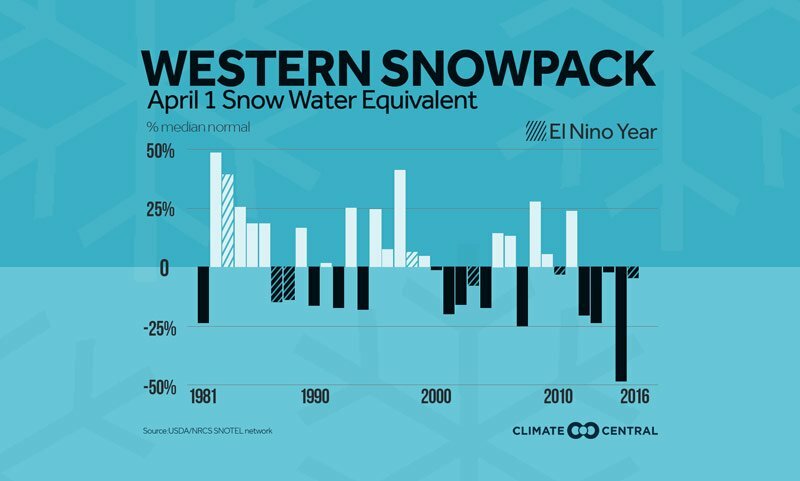 Warming temperatures, particularly during winter when we receive most of our moisture, means precipitation falls more frequently as rain instead of snow, and a warm spring melts the snow earlier. Together, these effects have thrown off the timing of stream flows and other water sources in Oregon and the Northwest. More than 400 miles northeast of Mt. Ashland, Oregon’s Treasure Valley lies along the Idaho border in Malheur County. Treasure Valley supports overs 100,000 acres of farmland. These fields are irrigated with snowmelt collected behind the Owyhee Dam. Built in 1932, the dam usually holds more than 700,000 acre feet of water for farming. This is enough water for two years’ worth of crop production, unless it fails to fill. This is what happened in each of the past three years, an unprecedented event, according to Jay Chamberlin, manager for the Owyhee Irrigation District. Drought at the start of the 2016 water year in Oregon. We saw the effects of drought on fish along the southern Oregon Coast, where we met with Frank Burris. A watershed educator for Oregon Sea Grant Extension, Burris showed us several restoration projects that have improved stream conditions for juvenile salmon, lowering the water temperature by six to seven degrees Fahrenheit and extending stream flow in small salmon rearing streams by up to two weeks. The context of what this means was provided by Denis Reich from the Freshwater Trust, a conservation group based in Portland, Oregon. This project began as an effort to understand how communities were responding to very acute stresses around drought and poor snowpack, conditions that look similar to what we might expect as climate change continues to unfold in our region. 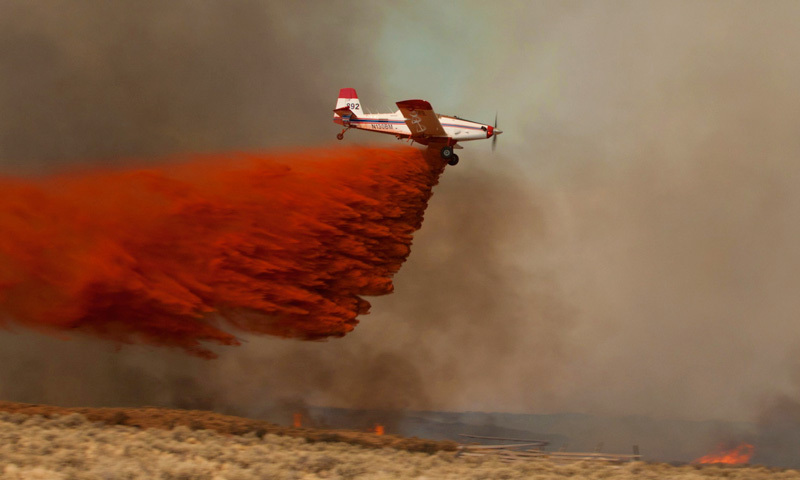 While there were clear responses to seasonal drought, what was perhaps most surprising was that the most successful adaptations were years in the making and came about for reasons other than drought. As we think about planning and preparing for changes brought on by a warming climate, we will do well to remember that adaptation does not necessarily mean reinventing the wheel. Part of it may include what Reich described as “increasing the pace and scale” of the good work already taking place. John Stevenson is CIRC’s Regional Extension Climate Specialist, a position jointly-funded by CIRC and Oregon Sea Grant. This originally appeared on The Climate CIRCulator.